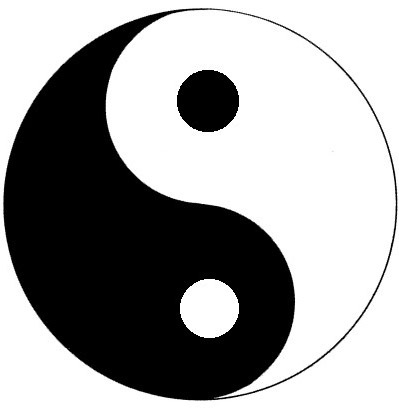 Taoism (also spelled Daoism) is a life philosophy and practice of living in harmony with the Tao. Tao means ‘way’ or ‘path’ – a sort of double meaning, as both the ‘way of Nature’ and the ‘way to happiness’. The primary source of Taoist teaching is called the Tao Te Ching, which could be translated as something like, “Book of the Way of Nature, Virtue, and Empowerment”. The book is believed to have been authored by Lao Tzu, the founder of Taoism, in the 6th Century B.C.E. Perhaps the next most prominent Taoist figure is Chuang-Tzu, whose writings in the 4th Century B.C.E. are also considered foundational (A condensed summary of the teachings of Chuang-Tzu will be available to Society members in our member archives upon launch). There have been several other works and today the Taoist canon, the Daozang (Treasury of the Tao) consists of almost 1,500 texts. While Taoism, by its nature, is highly focused on the individual life-practice, institutions grew up around Taoism over the years. Throughout Eastern history, there has been much meshing and cross-influence between Taoism, Buddhism, and Confucianism with elements of each to be found in the other as they are often practiced today. With such a long history, and having been an integral part of so many cultures, Taoism is vast and certainly includes many aspects practiced in various parts which naturalists would not find compatible to their views. Some Taoists accept and include such things as exorcisms, ancestor worship, literal belief in myths, divination and astrology, immortality, alchemy, and more. But this is, of course, no different than the many supernatural elements practiced in the supernaturalist end of the spectrum in many traditions which naturalists yet find useful ethical and other wisdom, such as Christianity, Buddhism, Paganism, and more. Within this complex body of thought and custom lies much deep and subtle wisdom which is fully compatible with a naturalistic worldview. This ‘core Taoism’ can be found practiced in many places; especially as it often finds itself in the West. The Tao is the ineffable ‘flow of the universe’ – the true nature of the universe, which lies beyond our full grasp and beyond capture by mere language. Tao is both the source of everything that exists and the driving force behind the universe. It may be cautiously comparable in some ways to the Western Stoic Logos (the underlying rational order on which the cosmos operates). The nature of the world, according to Taoism is that all things are flowing and in a constant state of recreation. There are also orders of magnitude and nested cycles in Nature. Thus, when we understand the ways of Nature, we understand ourselves, and vice versa. This is remarkably similar to what the originator of the Logos, the philosopher Heraclitus, said of Nature. It is also remarkably compatible with how we understand the complex systems of life and the environment to work today. But intellectual awareness of these facts is different from deeply ingrained intuitive knowledge of the subtle but profound implications of such a universe. To be ‘one with the Tao’ means that we have freed ourselves from selfishness and desire – from the binds of our narrow egos, and are living simply, in harmony with the nature of things. Many of the teachings and practices of Taoism are aimed at helping the practitioner achieve this state, and can be tested by those who wish to apply themselves to them. Taoist ethics includes a concept called Wu Wei or “effortless action”. This is the art of moving in unison with the natural flow of events to achieve goals, rather than crudely going against the grain. Its hallmarks are patience, timing, simplicity, spontaneity, attention, and moderation. The “three treasures” of Taoism are: compassion, frugality, and humility. These concepts can have very practical applications. For example, in facing our fears, Taoism helps the practitioner to internalize a value system whereby irrational attachments that breed fear are released). Taoism can also enhance joy in life through greater appreciation of the world around us. In its assessment of the ego and techniques for seeing beyond the ego, Taoism helps us to bring love more fully into our lives. Through its approach to compassion, Taoism can also aid in more external endeavors, such as conflict resolution. For more on these practical applications, see Diane Dreher’s book, The Tao of Inner Peace, available though the Society at this link. One of the things naturalists may find most relevant in Taoism is how intimately linked its prescriptions are with realizations about ‘the way the universe works’ – along with a conception of the universe which is compatible with a modern scientific conception. Further, understanding some of the basics of Taoism will be helpful in approaching many other Eastern concepts and practices, especially in Zen Buddhism. In turn, where concepts like these are touched upon by Western philosophers, a wider understanding of these ideas can only add breadth of comparative understanding. I agree completely, Taoism has a lot to teach Naturalists, especially those who wish to live in harmony with the Tao/ flow of the universe. As a theory of the cosmos, Taoism is "compatible with a naturalistic worldview," but as a philosophy of how to life in this world, it is very much at odds with the secular humanism and scientific progressivism that are so often a part of the "naturalistic worldview." And actually, Taoism's sense that the cosmos is a mysterious, creative, self organizing principle about which there is nothing much to say is not exactly in the scientific mainstream, either. Taoism's value to us, I think, is in challenging our values and ideas regarding how we should live. Key to Taoism is that the highest good for a human -- to be fully in accord with the Tao -- is an internal good. In the West, we have increasingly lost all sense of internal goods; which is perhaps why so many of us are obsessed with the accumulation of external goods. To be fully in accord with the Tao is to live from a deep, abiding contentment. This is not the contentment of a good meal or any other momentary state of contentment, but a contentment from the base of one's being. If one's goal is to find the North Pole, once found any further movement is away from the goal, so with Taoist contentment -- any movement departs from it. Thus the Taoist emphasizes non-activity, non-progress. The secular Westerner values curiosity, activity, accomplishment -- his or her perpetual boast is "I am so busy." The Taoist writes: "And even though the next country is so close that people can hear its roosters crowing and its dogs barking, they are content to die of old age without ever having gone to see it." It is hard to imagine a sentiment more alien to our modern Western view than this. The cultivation of the Tao -- the way to Taoist contentment -- is a mysterious activity/passivity. So many people who adhere to the way of science and secularity have no patience for mysterious things. They believe in what they see and touch. Such people may pay lip service to the Tao, but they are unlikely to sow their being in that deep, dark soil. I love that this blog is trying to bring the notion of contemplation back into a naturalistic world view. And I really appreciate this post on Taoism. This is a nice introduction, and I'm perhaps trying to go beyond the introductory. Thomas, thanks for these wonderful thoughts. I agree with what you've said. Regarding your first paragraph I might offer a defense of 'creative self organizing' as being compatible with science, in the form of complex systems theory and emergence. And, that "about which there is nothing much to say" may simply mean that there are limitations to language and communication as substitutes for direct experience, which some sciences are even based upon. But this does not overshadow all of your paragraphs past the first - excellent and informative observations. I think the Stoics address the whole 'inaction' thing a little better, in that they include 'an acceptance of that which we do not control' alongside virtue/duty as necessary to the flourishing life. This helps us to escape nihilism, but I'm not sure what the Taoist answer to this is. Thanks, too, for your kind words on this blog. 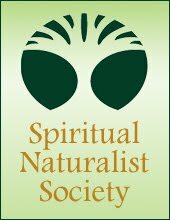 Bringing the notion of contemplation back to naturalism is also the aim of the organization I'm currently in the process of founding (the Spiritual Naturalist Society) so I'm looking forward to more good things in this movement!